Description : 1 bay, 5 adjustable shelves and locking castors. Dimensions : 1800mm high x 900mm wide x 460mm deep. 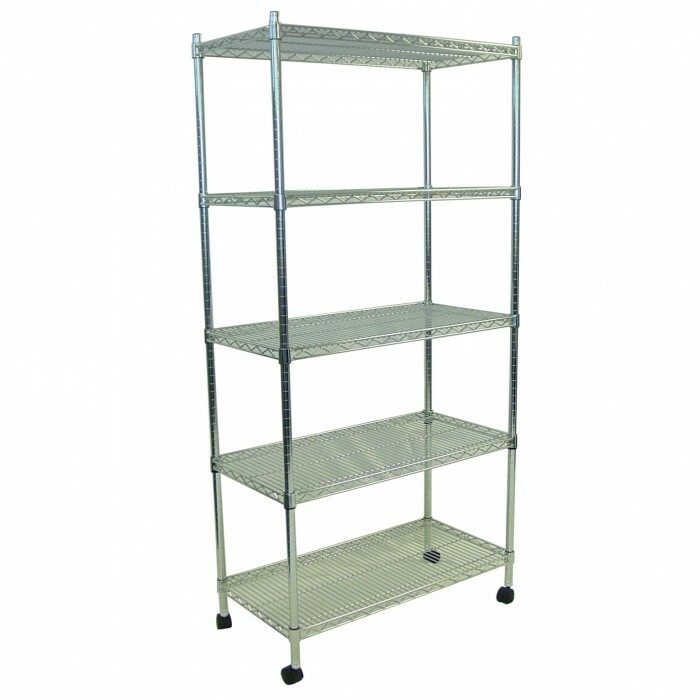 Features : Strong, durable chrome finished shelving. An open wire design, this shelving improves visibility of stored contents, increases light and air flow and doesn't accumulate dirt and dust. Ideal for : Shows, exhibitions, events and conferences.